For newbie entrepreneurs, joining a bazaar is a good idea to market and sell the products. It’s not only an ideal place to introduce a new business to the consumers; it is also a place where you can meet new customers, suppliers and interesting people. But, how to join bazaars and get many customers? 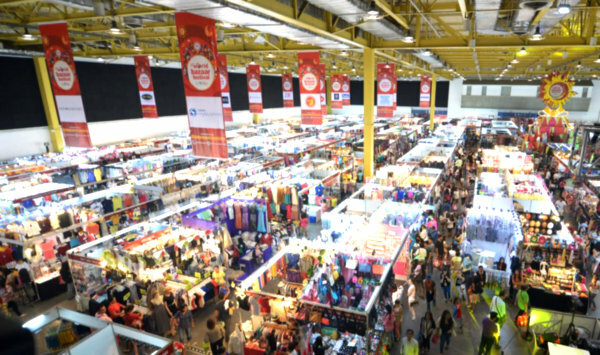 Before you plunge into one of these bazaars, getting yourself prepared is the first step. Remember that people come to bazaars because they want to see things that they won’t find in malls. You can combine consigned items with things that you yourself made so you can easily get your money back. 2. LOOK FOR SUPPLIES/ SUPPLIER for the products you wish to make. 3. LOOK FOR A BAZAAR TO JOIN! – It’s easy to search on the internet for an organizer/venue near your location, and make that call! Take Note: The venue must be accessible to shoppers, to you and to your assistants. You must check if your target buyers are in the area. Get tips from organizers because they know the kind of shoppers their bazaars usually attract. The best organizers give priority to ensuring their vendors’ success, and they do it by limiting the products exhibited and getting the bazaar advertised and covered by the media. 4. INQUIRE ABOUT THE RENT – Rent may seem steep in some areas, but it will be worth it if your location, merchandise and target market are in sync. Take Note: You can get a friend to share the booth to trim your expenses. The rent aside, the organizers may also offer electrical outlets for an extra charge. Bazaars in hotels and venues like the Manila Polo Club are usually more expensive, while a church tiangge can be cheaper if it’s open air. 5. REGISTER EARLY! –You need to formally apply and register to both the organizer and government agency governing the bazaar. Take Note: Some organizers require forms to be submitted while other organizers ask for product samples. 6. FINALLY, SET-UP ON THE DAY OF THE BAZAAR! Have fun: Be friendly to your clients. Enjoy the experience and have fun no matter how tedious the bazaar is. Your aura reflects on how you deal with clients, and it can definitely boost or break your business. — After deciding which bazaar to join, the next step is booking early to get a good stall. — Corner tables and those by the entrance are the most sought. — Choose a slot on the right side of the foot traffic flow. According to business experts, people automatically look to the right. — Prepare equipment that will maximize your allotted space such as racks, screens, tables, chairs, nets, wires and strings. — Make your booth attractive to shoppers by using materials like mirrors and spotlights for sure visibility. For more display space, get a wall booth.